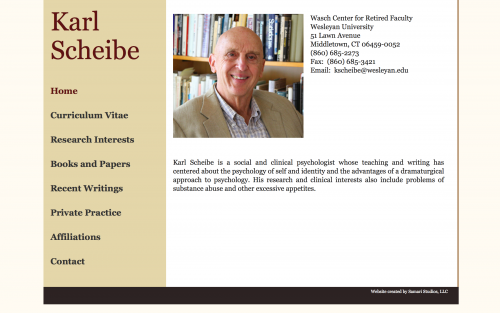 This personal website for retired Professor Karl Scheibe stemmed from his desire to make his more recent, and often unpublished, publications available to the public. Samari Studios assisted in the design of the site’s information architecture as well as its visual design and development. The headshot of Karl on the homepage was also included as part of the project.